How to use numbers and bullet points in your writing, especially to highlight key issues. Wt/L1.5 Use format and structure for different purposes. 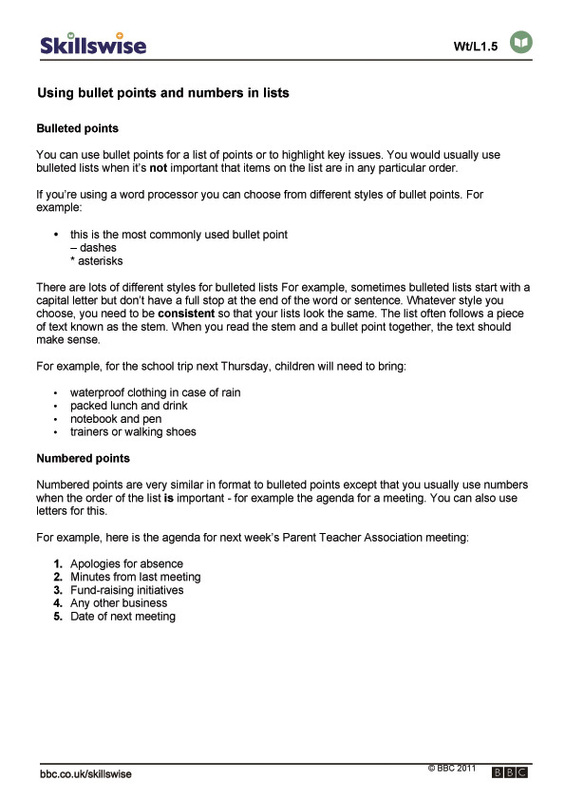 Difference between bulleted and numbered points.